Reaching out to the students of Kalyani Maha Vidyalaya, Kithulgala, INTECS Outreach 2016 was completed successfully on the 8th of July 2016 at the school premises. 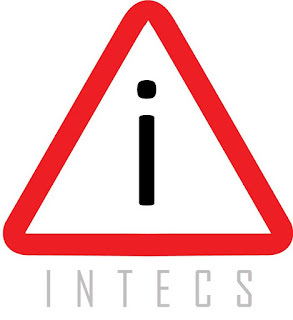 INTECS Outreach, is a program organized and conducted by the Information and Technology Society (INTECS) of the Faculty of Information Technology of the University of Moratuwa. 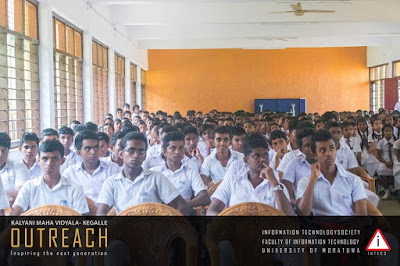 It is a program conducted to bridge the technological knowledge gap between the school students and the university students, also encouraging and motivating them to succeed in life through education. The program at Kalyani Maha Vidyalaya commenced at 8.00 am with the school welcoming the undergraduates of the faculty, and the principal addressing the gathering. 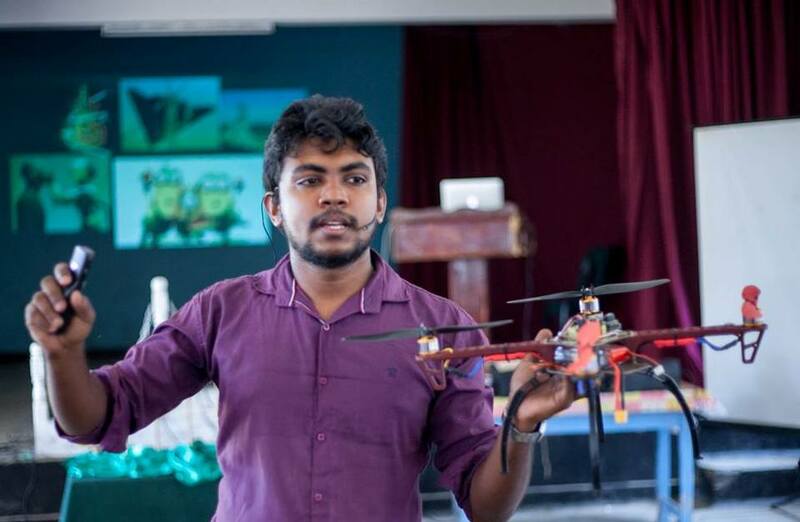 This was followed by several sessions conducted by our very own undergraduates focusing on different categories of students such as the students of grade 6-8, the Ordinary Level Students and the Advanced Level Students. A session was carried out in parallel for the teachers of the school on several technological aspects while a hands on hardware session was carried out for the students of grade 6-8 by Mr. K.D. Chandima. The sessions were mainly focusing on areas such as technology, how to successfully face exams such as the ordinary level and advanced level exam and about what they should expect in line after their advanced level examination. The students were also educated on the different degree programs and courses which they could follow and the benefits of such. 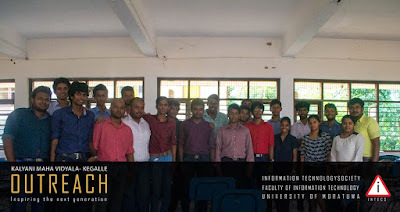 Furthermore, question and answer sessions and interactive sessions were conducted amidst the technological sessions where projects done as the first and second year projects at the faculty were displayed. It was indeed a very successful day and was a pleasure to see the enthusiasm in the students towards the field. 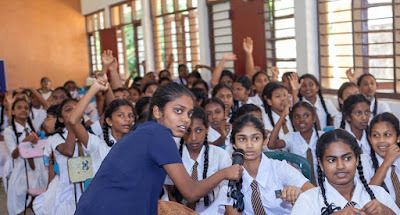 The program would not have been successful without the support and the assistance of the Principal, the staff and the students of Kalyani Maha Vidyalaya Kithulgala. The happiness and the satisfaction in students and seeing them smile and win in life is what we gain and expect through INTECS Outreach, and we are indeed privileged to be able to achieve our goal and be able to impart our knowledge to the future generation and lend out a helping hand. 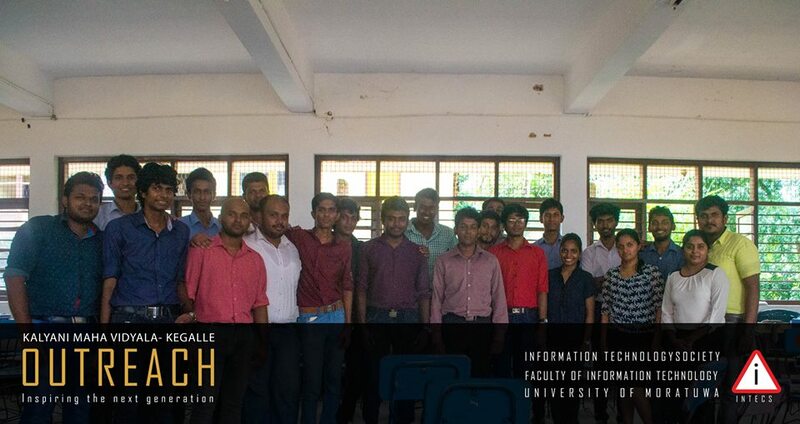 A very special mention should be made about the academic and non-academic staff of the Faculty of Information Technology, University of Moratuwa for the guidance and the support without which the event would not have been possible. 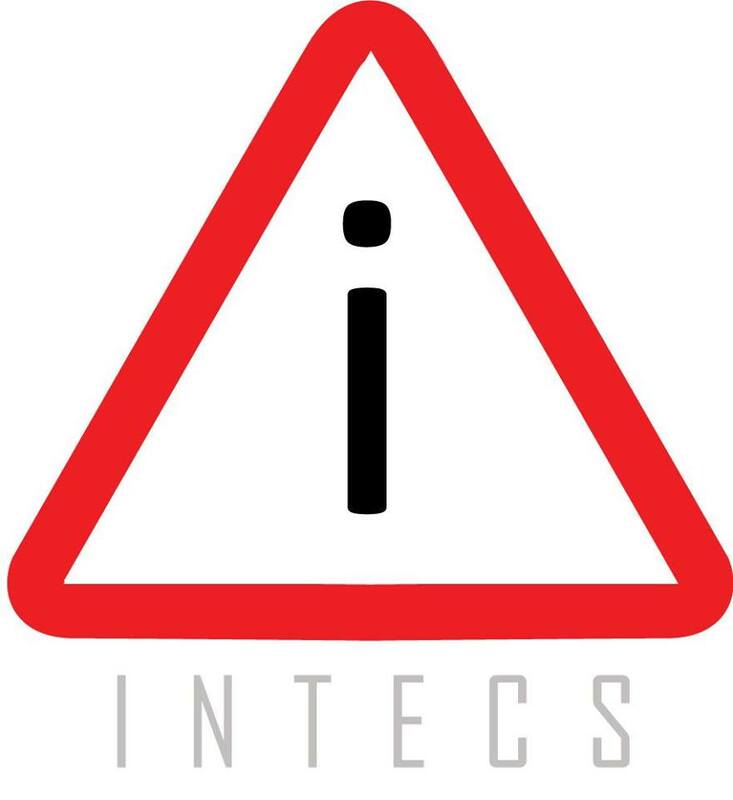 So we hope to inform you all about these valuable events hosted by INTECS through Moramag in future. Goodbye for today.